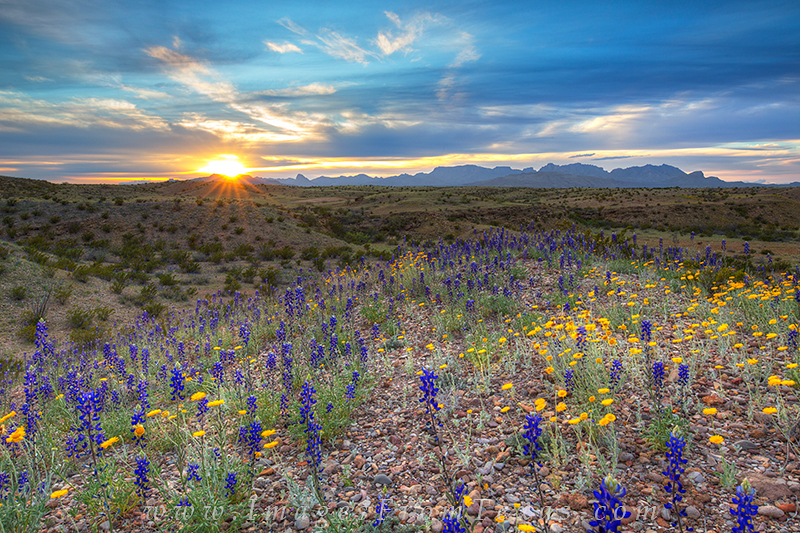 Bluebonnets and other colorful wildflowers line a small ridge along River Road East in Big Bend National Park. The sun is setting in the west over the Chisos Mountains, capping a beautiful in one of the nation's most amazing parks. I was on this dirt road for 2 hours and never saw another person. Photo © copyright by Rob Greebon.